A Strategic Health Care Marketing webinar for health care marketers and strategists. This event is free to attend thanks to our event sponsor. The job of acquiring new and retaining existing patients is not complete at first form fill. Healthcare marketers now have the opportunity to create personalized patient journeys, at scale, using the right communication methods and technology systems. Scripps Health discovered that automated journeys, done correctly, drive improved lead-to-patient conversions and higher marketing ROI. Join us on Dec. 11 to hear two senior marketers from Scripps Health share what they’ve achieved and learned along the way. You’ll hear their best practices for identifying market opportunity, improving the customer experience, channeling that information to campaign planning and executing, and reporting on marketing automation success. 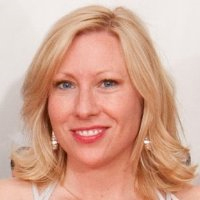 Christine Clay is the senior director of brand strategy and system marketing for Scripps Health. She is responsible for building and maintaining brand equity for Scripps through system-wide marketing initiatives including digital and traditional marketing strategies. In addition, Christine currently leads market research, ambulatory and health plan marketing and the brand and creative services team plus marketing communications for Scripps Health Foundation. She received a bachelor’s degree with honors from the University of Mary Washington in Virginia, a master’s degree from C.W. Post College, New York, and has completed post-graduate work in public health. 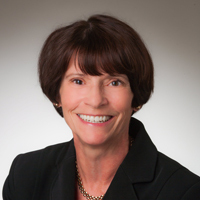 Christine is a member of the Society for Healthcare Strategy and Market Development of the American Hospital Association. 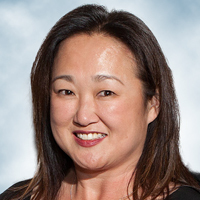 Jane Hong has 20 years of experience in health care marketing and communications, working for such organizations as Cedars-Sinai, Kaiser Permanente and Scripps Health. She has worked directly in and managed all aspects from digital/care line marketing to corporate communications to public relations. As Senior Director of Care Line Marketing, Jane oversees all aspects of service line marketing with a focus on omni-channel campaigns for Scripps Health in support of organizational objectives for growth including cardiology, oncology and orthopedics. Accredited in Public Relations, Jane was honored with the national Public Relations Society of America Silver Anvil Award of Excellence in 2008 for internal communications. Rachel Neely is the Senior Healthcare Consultant at Evariant. In this role, she serves as a healthcare marketing expert, guiding clients through collaborative workshops, identifying and reconciling points of marketing/physician ROI, overseeing the usability of Evariant products and solutions to ensure they meet client-specific needs, and collaborating with Physician and Marketing Practice Leaders to build new assets and points of view. Rachel holds a BA in Communication from Purdue University with specializations in Advertising and PR. Cost: Free, thanks to our event sponsor. Fill out this brief form to register. Thanks to our sponsor, this event is FREE to attend. Can't attend on December 11? Register now and get the webinar recording to view at your convenience. Everyone who registers will be sent a link to the webinar recording after the event.